Needless to say, at the end of the Semap Bog Jog, my face was the same color as the cranberries. 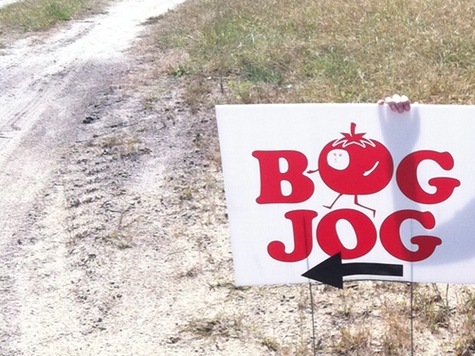 The cranberry and I have never been friends, but I was intrigued by the prospect of “running through bogs,” as promised on the website for the first annual Semap Bog Jog in Wareham, MA. I did have two questions though as we signed up for the 5K: how was I going to keep my feet dry? And how on earth was I supposed to run in those cumbersome waterproof waders? 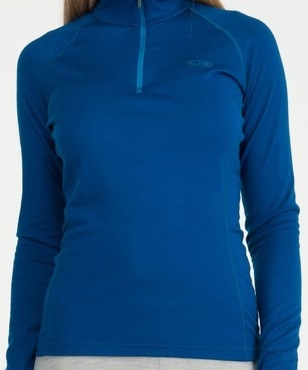 My apparel fears turned out to be unfounded, however, when I realized we would be running around bogs, not through them. I covered my disappointment well (I think) and lined up in my customary back-of-the-pack spot for this, my first-ever trail run. I had no idea what to expect from a trail and I was nervous about how it would affect my time considering I am not exactly a master of the flats. It was a slightly undulating course with sandy patches, lots of rocks, and pretty boggy vistas. And it was hot. Very hot. But I think the mere thought of it being challenging spurred me to action, and I ran my little, pathetic lungs out, ably assisted by Hubby, who had arrived on the scene to cheer me across the finish and right past the poor woman I had been running behind almost the whole way. Whoops. She didn’t seem to mind, though, and I got my first non-Hubby congratulations. I did learn that running on dirt roads requires extra vigilance in the feet department. Choosing the firmest, least rocky surfaces meant a lot of time staring at the ground and moving from side to side to side in an almost rhythmic fashion. It’s the trail two-step. 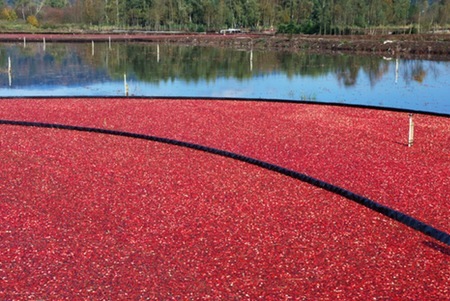 A.D. Makepeace, I learned, is the world’s largest cranberry grower. Right in our backyard. Perhaps I need to give these tart little red suckers a second chance. The aftermath: Scrumptious food from area farmers, including sausages, smoked fish, salads, apple cider and a local brew! This entry was posted in Fitness, Running, Sports and tagged 5K, cranberries, Massachusetts, trail running. Bookmark the permalink. The feast was the best part. My motivations are slightly different than the average runner’s!